Whether she is attending Paris Fashion Week or going to get her weekly groceries, its safe to say Olivia Palermo has truly got her act together when it comes to her personal style. At a holiday event at The St. Regis in New York City, December 2014. Denim on denim never looked better. Olivia attends the Gant Rugger presentation during Mercedes-Benz Fashion Week in New York, September 2014. Leaving the Rebecca Minkoff fashion show during New York Fashion Week Fall 2015 in February 2015. During Paris Fashion Week Autumn/Winter in March 2015.. Attending the Chalayan show at Paris Fashion Week in March 2015. At the Jeanne Lanvin Retrospective: Opening Ceremony at Palais Galleria in Paris, March 2015. 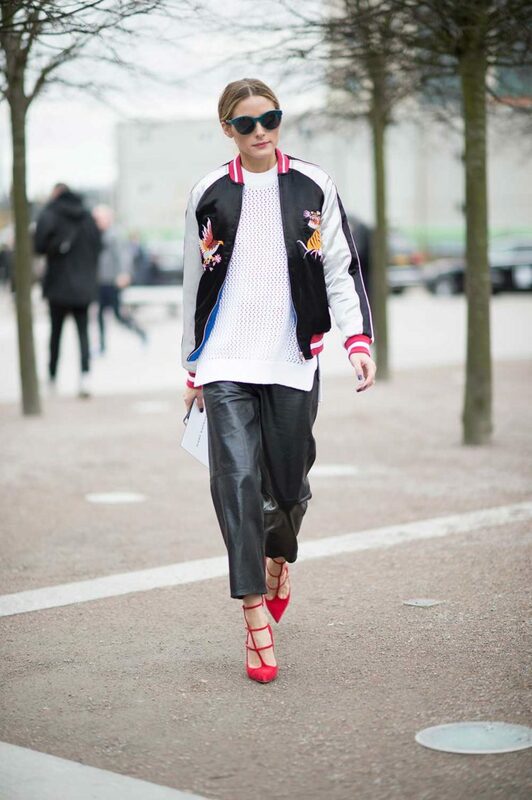 Wearing a Chloe shirt, jacket and bag at the Chloe show at Paris Collections: Women in March 2015. Attending the Giambattista Valli RTW show at Paris Fashion Week in March 2015. Wearing a fur vest, red jumper and black pants outside Carven during Paris Fashion Week F/W in March 2016. Olivia Palermo attends the Giambattista Valli haute couture show in July 2015. Olivia attends Valentino’s ‘Mirabilia Romae’ haute couture collection at Piazza Mignanelli in Rome, July 2015. Attending an event in New York City, April 2016. Olivia Palermo wearing a fur coat and black leather pants with Dior bag outside Dior at Paris Fashion Week, March 2016. Olivia Palermo wearing an off-shoulder shirt and jeans combo in New York City. Olivia arrives at the Valentino fashion show in Paris, March 2016. Attending the the ‘Spectre’ after party in November 2015 in New York City. Olivia Palermo attends the Moet and Chandon celebration of The Golden Globes in West Hollywood, January 2016. Olivia Palermo attends Dior’s haute couture S/S show in January 2016. Promoting her new collection at Nordstrom in Dallas, Texas in February 2016. Attending the Tibi show during New York Fashion Week in February 2016. Olivia Palermo arrives at the Giambattista Valli show at Paris Fashion Week, March 2016. Making a white shirt and jeans look incredible while attending the Veronique Leroy show at Paris Fashion Week in September 2013. Olivia wears Burberry Prorsum dress, Westward Leaning sunglasses, CH Herrera scarf, Max and Co belt and Schutz heels at London Fashion Week, September 2014. Attending the Dior show at Paris Fashion Week in September 2014. OP does over-the-knee boots at Paris Fashion Week in 2014. Attending the Valentino Sala Bianca 945 Event on December 10, 2014 in New York City. At New York Fashion Week in February 2016. Wearing a Topshop bomber at LFW in February 2016. The queen of clashing prints, Olivia attends the Peter Pilotto show at London Fashion Week in February 2016.